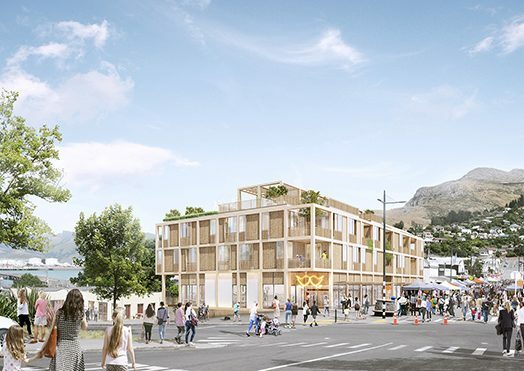 New Zealand’s first equity crowdfunded, community-minded commercial development is soon to be owned by everyday New Zealanders. 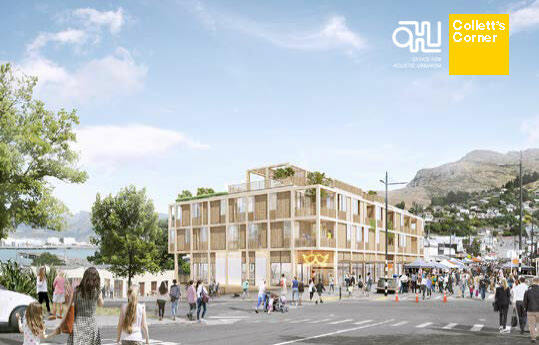 Collett’s Corner – set in the heart of Lyttelton, Christchurch – will be a place that contributes to the community, both socially and economically. The project’s collective ownership model marks a visionary shift in the structures that underpin a building’s creation, enabling fairer distribution of wealth in the hopes of closing the inequality gap that divides our society. With 8 people in the world controlling the same wealth as the bottom 50% according to a recent Oxfam Report , it’s a shift that is well overdue. Collett’s Corner will be located at the corner of London and Oxford Streets. 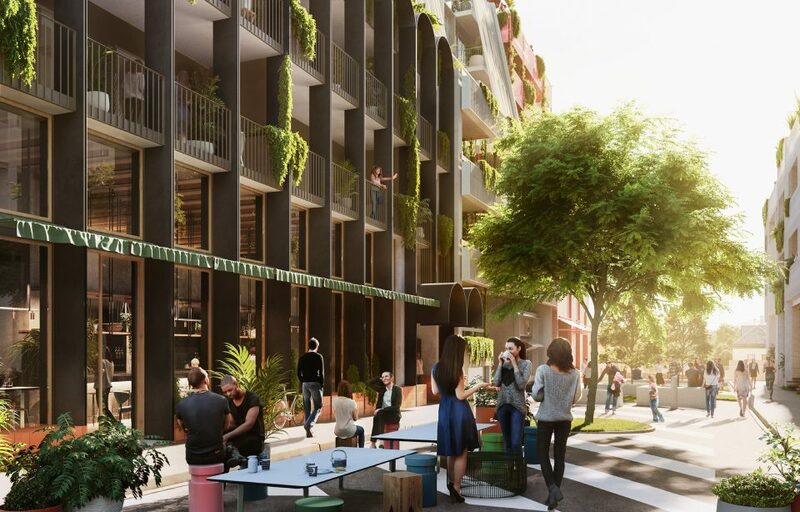 With a floor area of 2,710 sqm, the building will be host to a lively mix of wellness centre, community concierge, hospitality, retail, co-working space and apartments. The final design, led by Warren & Mahoney, is the result of hundreds of ideas contributed by the community over a 2-year collaborative process. The project has been made possible by a relatively recent legislative change. In 2014, New Zealand law changed to allow an entire community to own a single company without going through expensive legal processes for the first time. 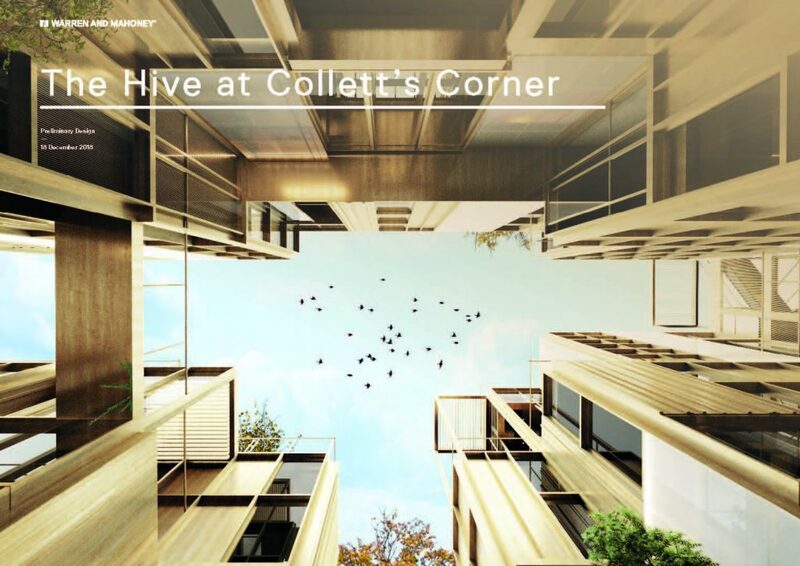 By setting Collett’s Corner up as a standalone company with shares, the development can be owned by many everyday investors, instead of a few individuals with deep pockets. The minimum buy in for Collett’s Corner is one share, which costs $100. Any New Zealand resident can invest in shares, and the maximum portion any one person can own is 10%. 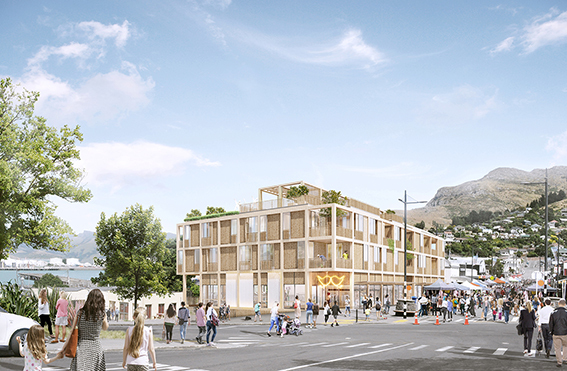 Shares must be purchased through the Collett’s Corner crowdfunding campaign which opens to Lyttelton locals on 7 February 2019, and the rest of New Zealand on 14 February 2019. 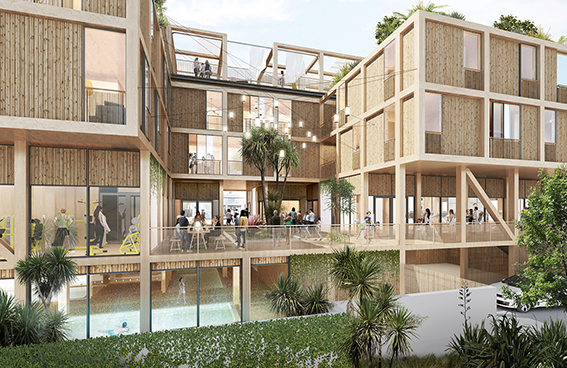 The project has been initiated by entrepreneur, developer and international architect Camia Young. 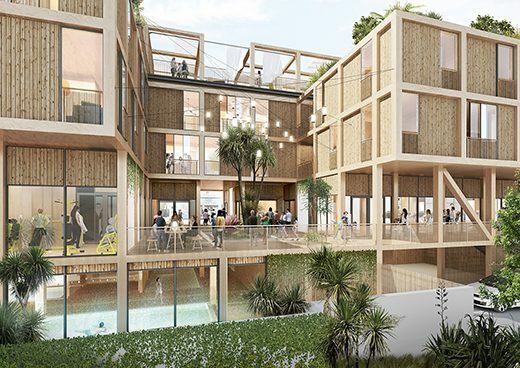 Having co-designed the Gap Filler Pallet Pavilion and co-founded XCHC, she has a track record for creating buildings that in turn build community. People can learn more and invest via Pledgeme. For questions about this offer or the project, please email Camia Young at camia@ohu.nz. 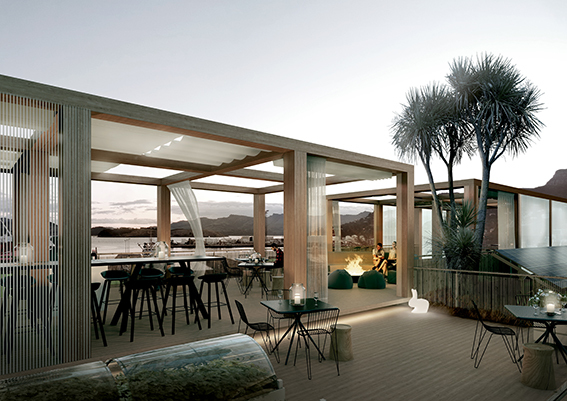 To stay up to date with Collett’s Corner, please register at www.collettscorner.nz. Source: Oxfam Report: An Economy For The 99%. 2017. To stay up to date with the Collett's Corner project please join the mailing list. 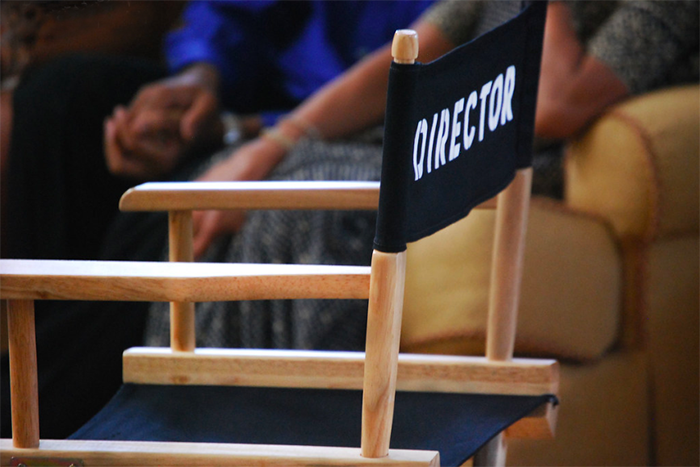 The updates will include project development as well as ways you can be involved.